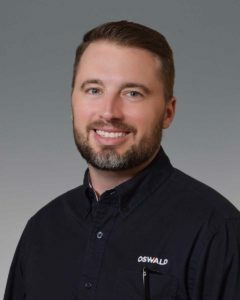 Oswald Company is pleased to announce their continued growth with the promotion of two valued team members. Wayne McMillian, who previously served as Senior Project Manager has been promoted to Project Executive. Patrick Mason, who previously served as Senior Construction Manager has been promoted to Project Manager. with exceptional attention to safety and excellent communication. As Project Executive, Wayne will be responsible for developing and leading a team that achieves on time project schedules, delivers excellence in customer service, and consistently meets the desired financial outcomes of multiple, simultaneous construction projects. Wayne demonstrates the necessary qualities to excel in this position – a detail-oriented team player that is success driven and solutions centered. Outside of his professional endeavors, Wayne contributes to his community through active involvement in the non-profit Heroin Kills Dreams, an organization that raises funds to support local drug rehabilitation and transitional living programs. Along with his wife, Wayne rallies support and builds a large team for the NKY Hate Heroin 5K. 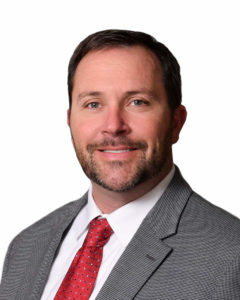 Patrick Mason brings with him 15 years of experience managing more than $70 million in projects, leveraging expertise in the design, development, construction, renovation and long-term facility maintenance. Driving customer-focused solutions and delivering insight on current industry issues and trends, Patrick can fortify retention and satisfaction levels of all stakeholders involved. Many of the projects Patrick has worked on illustrate his integral role in the bidding, certification and award process for all subcontractors. His continued success points to Patrick’s exceptional leadership, planning, and communication throughout the project. Serving as Project Manager, Patrick will manage the overall project direction, completion, and financial outcome for construction projects. He will be responsible for developing and managing Construction Managers and Project Engineers. A proven leader with exceptional organization and time management skills, Patrick is sure to continue his reputation of success in his role as Project Manager. Oswald CEO Ken Oswald explains, “Both Wayne and Patrick have added such value to our company and continue to excel and grow in their profession. We are looking forward to their contributions in their new roles and anticipate they will serve as strong leaders and mentors.” Oswald values the immense internal talent within the company and is excited for Wayne and Patrick to continue delivering excellence in their new positions.